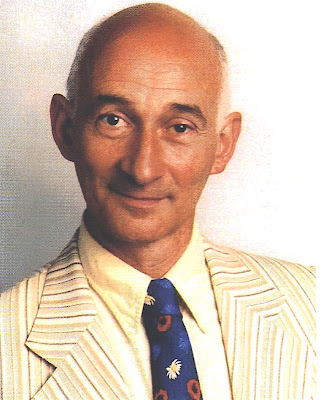 Amiable Antiques Roadshow veteran Paul Atterbury (left), who lives in a railway carriage, collects books on modern design and has harsh words for the Blessed William Morris, the medievalist, proto-socialist printer, wallpaper, fabric designer and alleged poet . To Atterbury Morris was ‘ an awful typographer and an awful book designer who set back book design fifty years ‘. Atterbury found the Kelmscott Chaucer impossible to read and many bookmen, who prefer Roman to Gothic type, would agree with him. However, there are enough Arts and Craft worshippers around to keep the prices of the small number of remaining Chaucers ( 425 copies were printed )sky-high. In 2007 a copy sold for £88,000 at auction. At an interview in 1998 Iain Sinclair confessed to me that he’d once bought an ‘immaculate ‘first of Bram Stoker’s Dracula in the original yellow cloth for fifty pence in an Oxfam bookshop. Alongside on the shelf, apparently, was a paperback film tie-in, which was priced at £1.50. Sinclair eventually sold his first for a blood-curdling £1,000, but wishes now that he’d kept it. 'It would have been nice to own a copy in such wonderful condition.’ The recent craze for vampire literature has pushed up prices for early editions of Dracula and a first issue in good condition would currently fetch around £7,000. Caricaturist Ralph Steadman, a Gillray de nos jours, has a garden of rusty machine parts made into sculptures and was once an apprentice in an aircraft company. His working book collection includes a Catalogue of Surgical Instruments and Appliances with appendix (1892), which he cherishes for its illustrations of urinals, bowel clamps and enema syringes. It is unlikely that he ever paid much for this huge book, with its thousands of illustrations, but at present there is only one copy on ABE, and this is the edition of 1914, which is priced at ( $240 ). But Steadman’s fascination for mechanical engineering is most strikingly reflected in his ownership of Steam Pipe Installation, an American handbook from the 1930s, which appeared in an edition of 2208 copies.‘ Its illustrations remind me of the paintings of Francis Picabia ‘, he told me, when I interviewed him in 2003.’ They’re wonderful of their kind ‘. A copy dated 1938 is reasonably priced at $24.50 on ABE. The market for really early books on both mechanical and civil engineering has always been buoyant, mainly because there are so few really attractive titles around and so many well-heeled buyers willing to cough up. A visit to the wonderful library of the Institute of Civil Engineers near Trafalgar Square will give you an idea of the range of printed matter available, from an edition of Vitruvius dated 1491 to Switzer’s famous Introduction to a System of Hydrostaticks and Hydraulics of 1729. Not much reading matter here, but possibly a rewarding subject to collect. A better bet than tiresome contemporary crime fiction, anyway. Dickens had false books in his library with witty labels on their spines. For instance, the multi-volume Wisdom of Our Ancestors consisted of volumes dedicated to Superstition, Ignorance, Disease and Instruments of Torture; whereas The Virtues of Our Ancestors was a volume so narrow that its title had to be printed vertically. You can still buy naff wallpaper unconvincingly printed with book spines one of which spells the surname of the author of Pride and Prejudice as ‘Jane Austin’. I don’t know if Dickens’ ‘ books ‘ could be taken off the shelf, but The Internal Lubrication of Tubes, which detective story writer Simon Brett proudly showed me, certainly can. It’s a well disguised box holding a spirit flask (geddit ?). Incidentally, I was totally fooled by a whole wall of false spines that hid a door in billionaire Felix Dennis’ Soho bolt-hole. Perhaps he got them custom made from the Manor Bindery, which claims to be the leading supplier of dummy books. Incidentally, I’ve often wondered what becomes of the singularly unexciting lots comprising Victorian gift books, odd volumes, books of sermons and editions of Walter Scott that are catalogued in auctions as ‘ Bindings ‘. Do they inevitably end their lives chopped up in places like the Manor Bindery---or do they find a role decorating the shelves of some interior design shop in the Pimlico Road along with the painted French furniture and chandeliers ? Many thanks Robin. Had no idea that Bellamy was descended from John Evelyn, the family must have gone through some serious changes. As for 'Dracula' the Cosmatos copy made £8000 + the juice 5 years back and it was not at all fine. Uber-dealer Peter Stern has a bright copy from Pickford Waller's library at £30,000 delicately described thus: '..insofar as this modestly produced book allows, it is, if only to a bibliomaniac, a thing of beauty.' 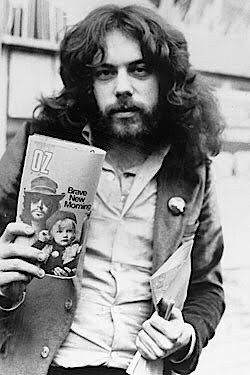 In re Felix Dennis - it is gratifying to see a hippie make a billion, especially one who is a serious book-collector. For a somewhat cheaper version of Dracula, can I recommend that produced by Four Corners Books which pays homage to the original with its bright yellow cloth and scarlet lettering and also contains some eerie illustrations by James Pyman. Dracula is the one book I have always desired for my own library but have never found a decent enough copy that I could afford. So, we got the two texts and put them back together and reissued it in a limited edition of 350 copies, simply entitled DRAKULYA. The binding was an exact replica of the Constable DRACULA and it was published on the centenary - almost to the day - of Stoker's masterpiece. Priced at £25.00 and sold out in a month. The author newly dedicated the novel: "To my publisher for revivifying a cherished child". I should add that about 20 years ago, as a kind of compromise, I purchased a Constable PAPERBACK version of Dracula, dated 1902 which I believe is slightly abridged. 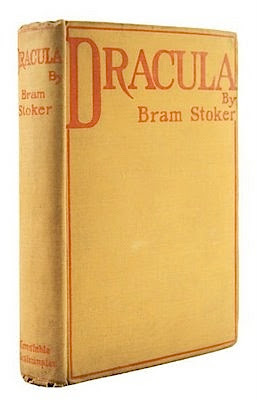 The front cover shows Dracula crawling along the wall of his castle. Never seen another copy listed since then. They do indeed - there is one copy of the 1985 British Warblers (1st issue) on AbeBooks for £1900. Even the 2nd issue (paperbacks cased) is highly collectable. Collins often misjudged the print runs for the series in the 80s. Dracula hasn't got any cheaper - a copy just went through Bloomsbury at an eye watering £53,680; although in fairness was the nicest copy they'd ever seen (see their London homepage for the blurb).